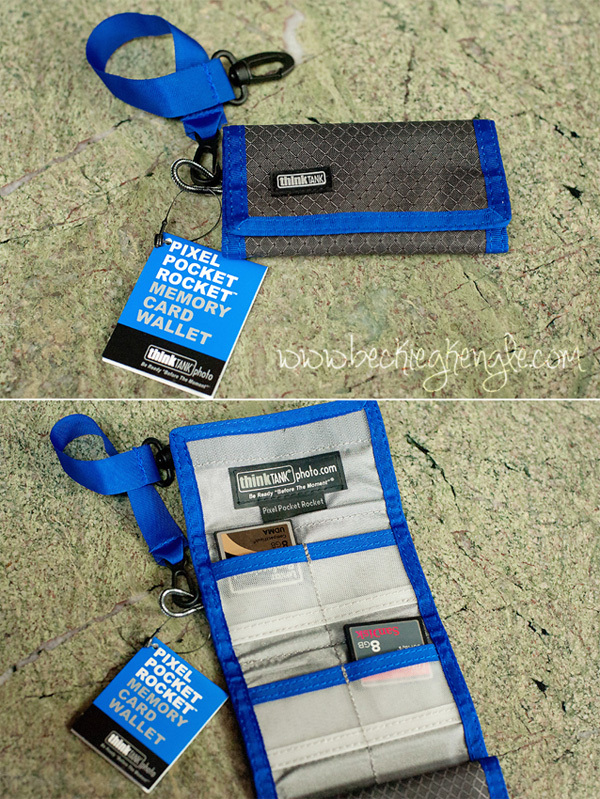 The Pixel Pocket Rocket by Think Tank is an awesome little memory card wallet! It was designed to hold up to 10 CF or XQD cards, but it could likely hold SD cards as well. Its outer shell is made of a durable rip-stop nylon, while the inside has clear plastic mesh to hold your cards in place, and it has a Velcro closure. It comes with an attached strap that allows you to hook it onto your gear bag or your belt loop. There’s also a spot for a few business cards to take with you. I am going to give one of these cool memory card wallets away! Leave a comment below, and tell me what your favorite time of the year is and why! My favorite time of the year is the change of seasons. Nature is so wise. Spring is rebirth. Summer is play. Fall is when nature says I’ll show you all the splendor that I have; however I can only do this for a short while. Winter is rest and renewal. Aaaaah – that we should be so wise and learn from nature. I completely agree with Murphy Brown. I, also, have no favorite. Now it is winter and there are intricate snow flakes blowing around, covering everything, and being made into fun things. Next comes spring, with rain calling new life from the ground. The leaves, buds and sprouts are coming out, making the world more colorfull. Ah, summer! That is the time for playing. The children are running around, laughing. Everyone enjoying the warmth and longer days the summer sun gives us. And then comes fall. The plants are either dying out or going into hybernation. And the beauty the leaves give us, going through their hidden colors. And we are back to winter. And then there are all the celebrations we have during the entire year. There is no time during the year where one cannot take a great photograph. I love Autumn. We finally get relief from the scorching summer weather and the colors are beautiful. The school year begins again, a fresh start. I love pumpkin patches, pumpkin spice lattes, and all things fall. October is my favorite time of year because where I live it’s sunny and clear skies every day. October makes me happy to live in CA!